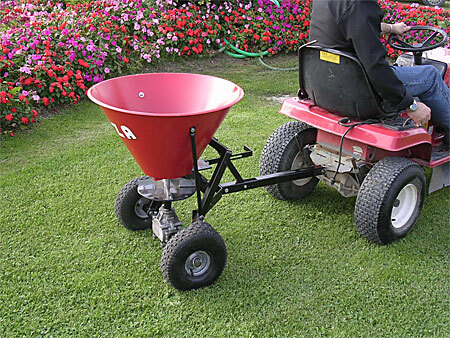 This fertilizer spreader is particularly suitable to be trailed by small lawn-tractors. The machine can be used easily to fertilizing lawns, gardens, parks. It is suitable for hobby.